. Published on July 22, 2016 . When you’re remodeling anything in your home, the transformation brings a sense of freshness and peace to your living space. It’s a feeling of creating and receiving something new – makes you want to sit back and soak it up for hours. The hard part to making this happen is getting started and keeping your cool as it all comes together. While a bathroom remodel may add value to your home, it might be a task that could take its toll on little old you. With all the critical components to a full bathroom, like the bathtub, the shower, the sink, and how much counter space you need, remodeling successfully and painlessly is all about planning out the dirty details. 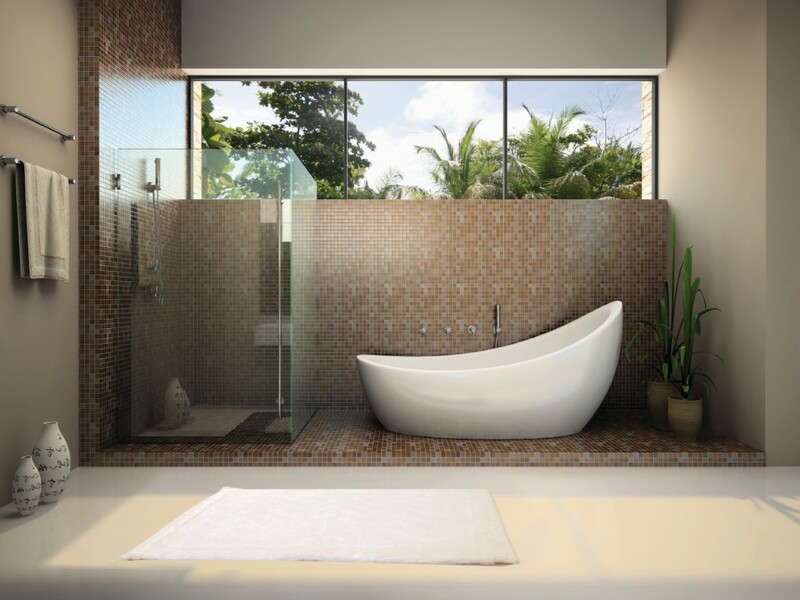 Take some time to sit down and rationally think about exactly what you want this bathroom to look and feel like. Keep in mind who will be using this bathroom. That should help make your design more focused. Also, a nice tip is to make your new design match the plumbing and ventilation that’s already in place. Not moving your plumbing and ventilation will save you time and money. You’re already saving for the remodel itself, but you also need to budget for possible renovation problems. There could be leaks that you didn’t know about and vents or pipes in a wall you thought you could knock down. Don’t flush away your money. Better to have money left over than down the drain. Some may perceive today’s generation as one that’s all about the next DIY project, but remodeling your entire bathroom should not be that project. Sit down with a skilled professional and tell him or her your vision. With their skills and your vision, it will bring your bathroom design to the next level. Finish your new bathroom off the right way by selecting the proper accessories. We’re talking about towels and bath mats people! You’re new bathroom calls for new comfy and cozy bath accessories. Out with the old and in with the new.